Do You Have Masonry Work that Needs to be Done? Bricklayers and stonemasons have constructed some of the longest standing buildings, which makes it easy to understand why people want their homes made of brick or stone. 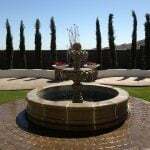 These pros build and repair installations like load-bearing walls, landscape curbing, chimneys, patios and pathways. Common masonry repairs include addressing water damage, repointing mortar and rebuilding where needed. This guide outlines the process of finding and hiring a quality professional. See our guide to masonry work to learn more about the skills and common projects performed by these professionals. Looking for a Quality Masonry Worker? Masons are as much artists as they are workers, considering the skill level this work requires. Plus, bricking your home can cost a pretty penny. 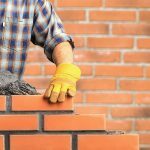 Make sure you follow these steps to ensure you have the right person at the right price for your next masonry project. Before you call around, collect some information and figures so you’re prepared to speak with perspective pros about what your project will entail. 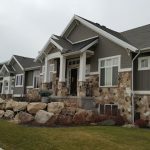 Research Materials: Look into the different stone or brick options that you might want to install on your home to get an idea of their pros, cons, and costs. 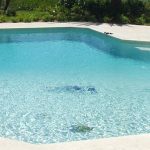 An expert will be able to explain the cost of purchasing and working with certain materials, but this research could give you a ballpark figure of your material cost ahead of time. Use our guide to find out how much a pallet of bricks costs. Understand Your Project: Research the specific project you’re pursuing and the skills it will require. Some masons consider themselves to be workers, some artists, some both. Figure out if you need an artist for a stylish fireplace, a worker for a plain brick house, or both for a dry stacked limestone garden wall. Survey Your Neighbors: Find some homes in your area that pros have recently bricked or stoned. Talk to the owners to figure out an estimated price of the work you need. 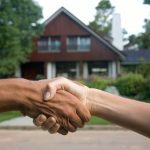 Once you’ve found a few potential contractors in your area using online directories, read their reviews and ratings and check out their websites to view pictures of recently completed work. Compare the rates of several professionals. Typically, brick masons figure their price per brick. Stonemasons often do the same if the stones are uniform, but they also charge by the job or the hour if the pieces vary in size. 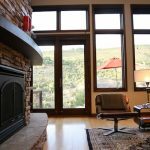 Windows can add or subtract from your cost, depending on the way you want them framed by the material. If a pro charges by square foot, ask how they account for windows and other features. If you know these details ahead of time, you’ll know exactly what each bid entails and will be able to compare them accurately. A full timeline with an end date. Proof of license and insurance: States and localities have varying requirements for licensing and insurance, and you should request proof of compliance from your contractor. For more information, find your state in our contractor licensing requirement guide. Payment method and schedule: A clear payment schedule protects both you and the professional. Agree to the method and schedule of each payment and be sure to stipulate that you will make the final payment is only upon job completion. Project change procedure: There must be a written agreement regarding how your pro handles changes and whether they need your approval to proceed or not. Without a procedure, you could face unexpected expenses. Schedule change procedure: There should be a procedure for changes in the timeline and unmet deadlines. Without a procedure, you may experience conflict. Workmanship guarantee: Make sure that the contract includes a workmanship guarantee in writing, so that the procedure and extent of coverage for post-install problems is clear. Lien waiver: A lien waiver will protect you if your contractor fails to pay their own laborers. Consider skill and experience over a cheaper hourly rate. Having an inexperienced, inexpensive person who tears up your yard, takes too long, and doesn’t do what you ask for will require a second mason to do the job right. Avoid those mistakes by hiring quality first. During the hiring process, there are a number of important questions to ask contractors. Have you used this material before? Have you completed projects like mine? Do you have examples of past jobs to share? Do you have references I can call and/or visit? What will you team look like when they arrive at my home? What is your expected timeline for this job? How do you format the cost of your bid and what does it include? What billing method and schedule do you prefer? Your project doesn’t have to follow a basic or standard design. You don’t have to lay these products in only horizontal patterns. 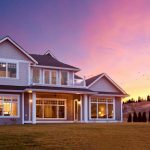 Depending on the project, you can detail your home with a unique design. Talk with your professional about unique designs that may be best for you. It doesn’t have to be just stone or brick. Masons can often work with concrete blocks. Be sure to discuss your options as far as building with concrete, especially if you’re looking to cut your budget. It’s messy work. Be reasonable in your reaction to your yard being in disarray. These pros are just doing the job you want done. Looking for a Qualified Masonry Worker? 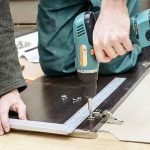 Once you have an idea of what you need and the materials you’re interested in, it’s time to look for a qualified expert. With this guide to hiring, you can start researching masons near you today. good masons are not the cheapest. Theirs a lot that goes into masonry work. With proper planning and skill. A good result can be achieved. The kea is to not rush the job. Do it once and do it right. As a contractor I’ve had to fix a few problems over the years caused by ammatures.